Congratulations Andrew! 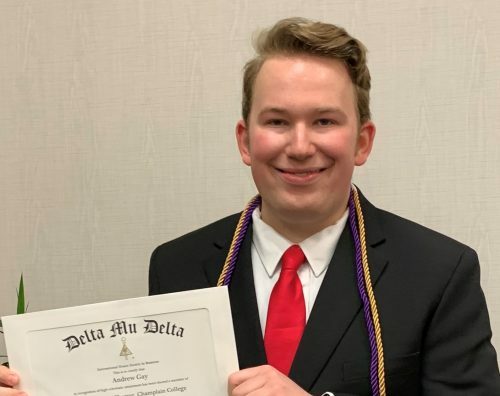 - Network Performance Inc.
NPI is pleased to announce that Scheduling Coordinator Andrew Gay has been inducted into the Omicron Iota Chapter of The Delta Mu Delta Honor Society. This business honor society recognizes and encourages academic excellence of students to create a community that fosters the well-being of its individual members and the business community through life-time membership. Andrew is pursuing a degree in the Champlain College Stiller School of Business, maintains a GPA of 3.5 or higher, demonstrates academic excellence (top 20% of class), and demonstrates community involvement through service.